Ferrari offered new control electronics to their customers following Charles Leclerc’s issues in Bahrain. However, unlike Haas, Alfa decided not to take the new elements over a fear that they didn’t have time to install them correctly. Antonio Giovinazzi’s qualifying was wrecked by the same issue that Leclerc had in at the Bahrain International Circuit – he was given new control electronics for the race, but they were the old-spec, while Raikkonen went ahead with the old unit. 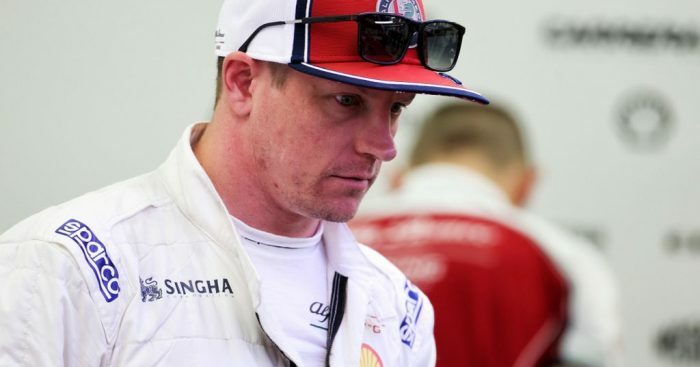 In the race Raikkonen would cross the line P9, but Vasseur confirmed he had his fingers crossed throughout the Chinese Grand Prix. “I had my fingers crossed on the pitwall,” Vasseur told Autosport. “It was not easy to push on the buttons! “Overall it was a good Sunday for us, we had a good recovery compared to [qualifying]. “It’s important for us to score points every race and be consistent. Raikkonen was frustrated to lose performance in the closing stages with both Sergio Perez and Daniel Ricciardo just ahead, but Vasseur believes the Finn is doing a fantastic job so far. “He’s scoring points, even when he’s starting 13th. He was a bit upset not to be able to catch Ricciardo and Perez at the end, which is a good sign,” he said.